Entrepreneurs and independent professionals do not conform to one way of thinking, nor should the space they work in. Indiegrove is a community of individuals committed to hard work, collaboration and business sustainability. The coworking space, resources and events are designed to provide your business the credibility and access to be successful and the environment you need to be happy. Designed with a community, style and effectiveness in mind. Indiegrove's offerings include: shared and private workspace, meeting rooms, kitchen facilities, business resources (copy, fax, scanner, printer, mailbox), workshops and networking events. Month-to-month full-time and part-time company and individual membership options. Located across the street from the Grove Street PATH station with lots of restaurants, cafes, bars and shopping right outside the door. Move up and stay grounded with the endless support from fellow coworkers as you grow together at Indiegrove. Are you a member of Indiegrove? "Co-Working in an Amazing Community"
I recently started a solo law practice and Indiegrove has been stellar in every way. The facilities are well laid out and provide exactly what I need (mailbox, private meeting space) to ensure that I can properly serve my clients. What sets Indiegrove apart, however, is the social dynamic. While co-working, I'm surrounded by people from a diverse array of backgrounds who are not only passionate about their business, but also friendly and genuinely interested in connecting and sharing ideas and experiences. This has not only allowed me to network and gain business on several occasions, but also provided a sense of shared purpose connection to the larger community of co-workers in Jersey City. High recommend becoming a member here! "Invested in the community & its members"
Indiegrove is the first coworking space in Jersey City -- and it shows. This is the place where you walk in and staff and members greet you by name - they know your spouse, they ask about your weekend, they remember a joke you told them last week - they genuinely CARE that you are there. Whether its food drives or donations or events, in the year I've been there I've seen Indiegrove make a point to give back to the community; they are part of the fabric of Jersey City. There are also member events every month (last month had SO MUCH delicious sushi!). I get referrals to my business from other members on a regular basis, and have used and recommended the services of several of the other businesses there. I've run multiple events out of the conference room and use the meeting rooms on a regular basis when connecting with colleagues. Sure, there's no foosball table or bean bag chairs or kegs -- because let's be serious, this is a place to work and get stuff done, not some playground for millennials who want to pretend they are grownups while they spend all day posting about lattes and angst on Instagram (or whatever it is the kids do these days). The point is: I feel so lucky to be a part of Indiegrove; it's helped my business grow significantly and it's helped me get to know Jersey City better. I did my due diligence when researching a space last year, so I'm confident in saying there's no better place in town for coworking. "Jersey City's Best Coworking Space"
A wonderful place to work and connect with fellow entrepreneurs. It's a community, not just a place to work. They offer monthly news letters, member spotlights, lunch and learns, a women's group, monthly mixers and holiday events. You won't be disappointed in joining Indiegrove. The location is great being across the street from the Path train and located on Newark Avenue with a lot of restaurants on the strip. The meeting rooms are effective in allowing you to conduct business whether you use the shared space, a private desk or office. The views are also really nice and make the atmosphere comfortable. "The Right Space for the Right Time"
I found Indiegrove after researching work spaces in both NJ and NYC. What sold me was the staff, the space and the amenities; pretty much in that order. The staff is professional, approachable and reliable. 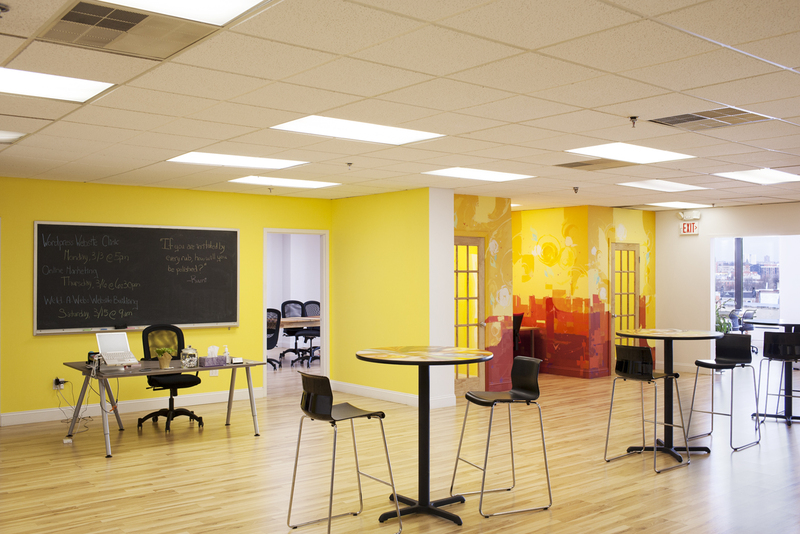 The space is bright and you are surrounded by likeminded motivated professionals. The atmosphere is a professional and laid-back. We wouldn’t hesitate to bring clients in for conferences. The price was great for our needs with options to modify if necessary. Location is essential for us. Located right off the Path makes it so easy to get to. Lastly, they have a great social community for networking. We could not ask for more. After working out of my living room for six months as a remote worker, I finally convinced my company to pay for a coworking space. Indiegrove has been great! From the monthly mixers (sushi lunch, taco lunch, after hour drinks) to the great mix of people working there (lawyers, physical therapists, literature scouts, personal trainers, content designers, writers, engineers), the Indiegrove community is a great place to grow a business and get work done. The owner really invests significant resources in making the space comfortable and engaging. I've never been there when it's been overcrowded or too loud; this space is a great place to get work done amongst a community of interesting entrepreneurs and driven people. Friendly people. Meet a diverse group of people running a variety of businesses - tech, law, therapists, writers, fitness... Member activities such as happy hour socials or lecture series provides even more opportunity to meet other members. A great place for networking and socializing BUT people respect one's need to work quietly and undisturbed. A healthy balance. Indiegrove was instrumental by providing the office space and moral support from staff and members to begin my private practice. My clients appreciate the vibe and look of Indiegrove. The central location and access to PATH make it very convenient. Cant recommend Indiegrove enough! The space is clean, well-lit, and conducive to work, with a combination of shared and private workspaces, phone rooms, meeting rooms, and a community kitchen with free coffee and tea. But Zahra and team make Indiegrove do more than provide a great space. They go the extra yard to make Indiegrove a community, with lunch-time meetups, monthly events, quarterly mixers. As a result, collaborations happen and friendships are made. In addition, Indiegrove is located right in the heart of downtown Jersey City, which means good lunch spots abound nearby. Couldn't be much closer to the Grove St. PATH, so the convenient to NYC can't be beat. Highly recommended. "Just the perfect balance between friendliness and privacy"
There are some co-working spaces that feel like a crowd of strangers. IndieGrove is not that. It's a community but not so much where you feel like your in a dormitory. 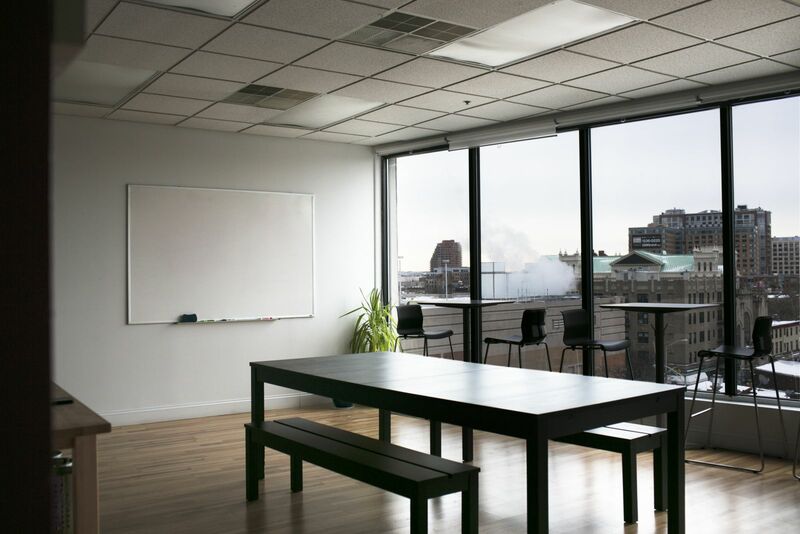 Its a beautiful sunny space overlooking downtown Jersey City with extremely comfortable working chairs in the common area. The owner, is there nearly everyday to ensure all the amenities are at its best. They have useful learning lunches that are optional. Besides it being so centrally located, the members are very welcoming and helpful. There wouldn't be any reason but distance as to why anyone wouldn't want to work here instead of a cafe. "Best co-working space with the best community!" I've been a member off and on for the last four years, and what keeps me going back to Indiegrove is the community that the founder Zahra and her team have created. No where else have I found truly genuine and friendly people. I appreciate how the Indiegrove team makes sure that we all get together once a month for a happy hour mixer as well as weekly for community lunch. The connections I've made with the other entrepreneurs have been so beneficial to my photography business in terms of information-share, tips, and support. Once you're a member, you're like family. 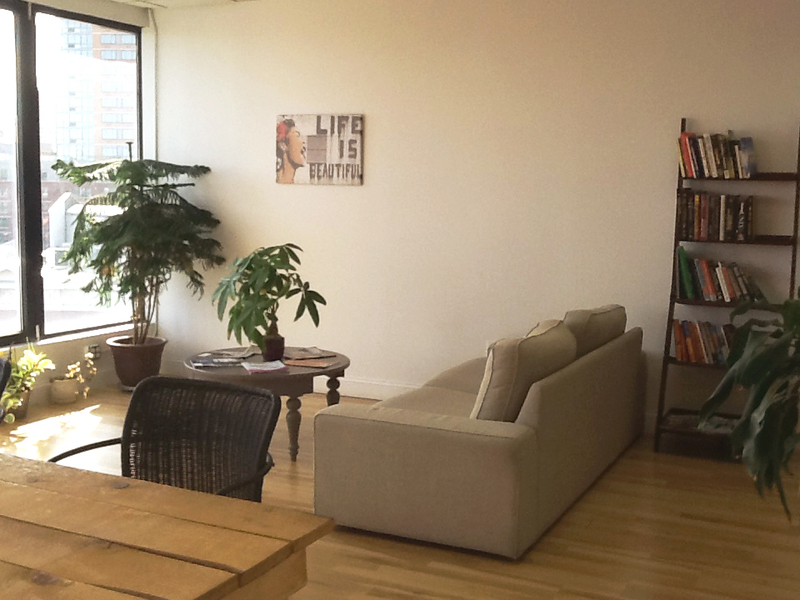 "The Best CoWorking in Jersey City"
I looked around at other spaces in Jersey City and found Indiegrove to be the perfect home for my business. While the space is funky and bright, it is the people that really drew me to this space. Zahra and her team make being in the space and running my business seamless. I also really like the other entrepreneurs that are drawn to this space as well. We are part of a community that really looks out for and helps each other's business grow. Finally, you really can't beat the location in Jersey City. It is great to be so near the Grove Street PATH, easy to get to clients and meetings in NYC. I also like being next to the Newark Avenue for the restaurants and bars. "The best community and best view coworking"
I love the place. 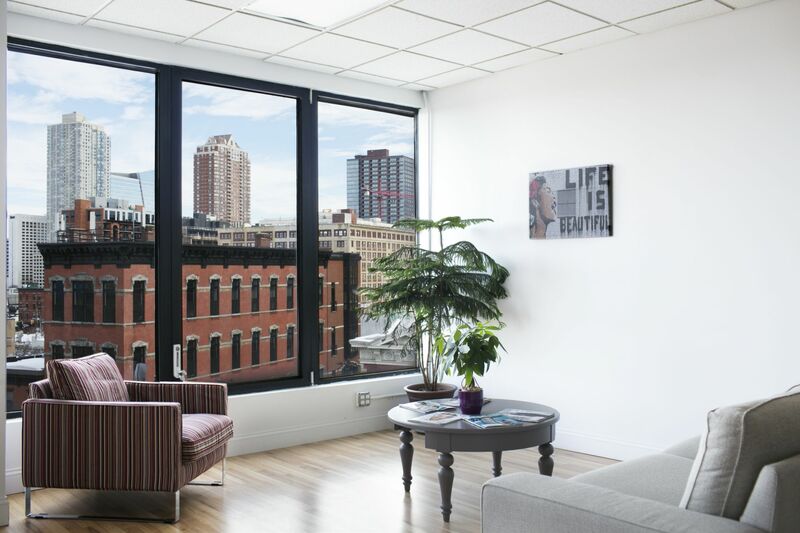 The office is conveniently located by the subway in the heart of Jersey City. It has beautiful view of skyline of the city and New York. The place is always clean and office facilities and supplies abundant. But more than anything it is about the people that are sharing and managing the place. 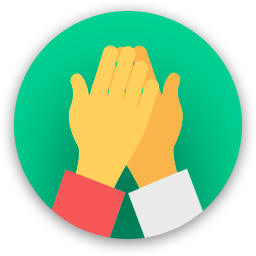 We are a community who help each other and help to promote each others' interest. The management facilitates the exchange of talents and experience and always goes after access to the latest new info through seminars and work shops and such. So we feel stronger in our knowledge, which reflects the sum of the community. I feel both I am in a private office with all its conveniences and at the same time in a community of business minded professionals who each contribute to my business. Working at Indiegrove has helped me grow as an individual in my personal and work life. Everyday there is a new challenge, lesson or story. Zahra, the owner of Indiegrove is always there to help and advise me. She is not only a servant leader, she is a role model for young women. The community is best part of Indiegrove, I especially love community lunch that happens every Wednesday in the kitchen. This is time where we get to know our community and make connections. This has been a tradition since they opened their doors in January 2013. I am truly grateful to be part of the Indiegrove community and work alongside such inspiring people. Indigrove is an awesome place to call my office every day. I came from working in a school environment with tons of employees to working for a small business of just 4! Working at Indigrove provides the same community as a working for a larger business, it's great to bounce ideas off of individuals in other and similar fields as well as socialize with people I otherwise wouldn't have the opportunity to! The staff is incredibly helpful and extremely personable. The environment is bright and open and refreshing which helps for long days in the office! Thanks for all you do Indigrove! I've been working at Indiegrove for just over 3 years and I wouldn't consider working anyplace else. 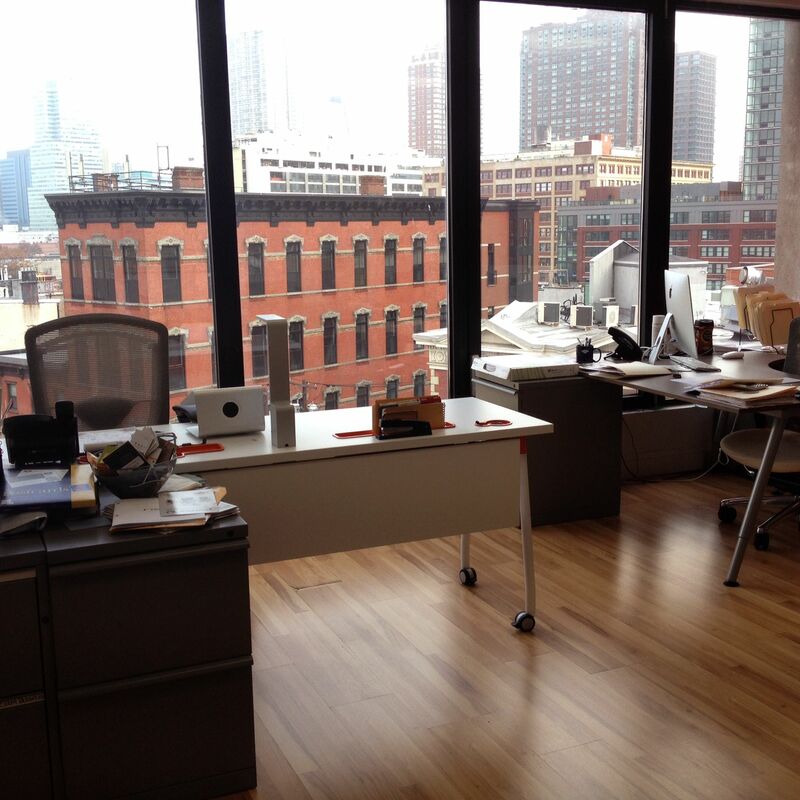 Shortly after I moved to Jersey City, my company decided to retire our office model and move to a work from home model. I was looking forward to having the freedom of working from home, but I felt that having an actual workplace would be much more beneficial and productive. I found Indiegrove and Zahra immediately welcomed me in. Indiegrove provides the freedom of a work from home environment, but helps to put a bit of structure around my day. On top of that, I met and networked with more people in the first few months I was there than I had the previous few years of working in an office. Not only is it an awesome environment to work in, it's also in the heart of downtown Jersey City with many restaurants, activities and events. Come check it out! "Truly a place for entrepreneurs to grow!!!" If you are working in Jersey City and you aren't at Indiegrove you are missing out! My business would not be where it is today without the Indiegrove team and the suppotive community. Add to that an amazingly bright and comfortable space with all the office needs covered and you can't do better. There are places to work quietly, take a call and just relax. I love that as my business grows there are many options for membership and space so I don't have to leave the community. This is a space for people building real businesses. There is no pretense, just real honest entrepreneurs. Thank you Indiegrove! "Great Place to Run Your Business"
I've been working at Indiegrove for over a year and love coming here everyday! The staff is friendly and helpful and it's a great place to network if you are starting your own business. I especially like the lunch networking events. I've really enjoyed learning from a wide variety of talented entrepreneurs since I've been here. It's located right next to Grove Street Path Station so it's a very easy commute from Manhattan. The space is really well designed so it's nice to have clients meet me here. I've been far more productive since I've started working here. Thank you Indiegrove! I will share with you what attracts me to IndieGrove, where I am having my business offices now for almost three years: A very vibrant place and environment, clean, decorated with exquisite taste and run by people who really care about you and your success. I like to go there and work there, kind of feeling at home, a highly professional home. The location is excellent and makes meeting people very comfortable and easy. When needing a break for coffee or lunch I have many interesting options in the Grove St. neighborhood, even though many times I prefer the good quality free coffee and excellent selection of tea offered at the big, airy kitchen with huge windows overlooking city's blue sky. The place is wrapped with huge floor to ceiling windows. One can gaze out daydreaming and/or pondering what might be the next business related move or just relax a bit. Good and hopeful energy inspiring my business aspirations and initiatives. I love the place (and my thriving business in it). "An inspiring place to work !!!" You know you are in the RIGHT place when you wake up in the morning excited to go to work ! Starting from the comfortable location downtown Jersey City, to the beautiful view from the windows, to the comfortable and personally decorated spaces and rooms, to the smiles of the helpful support staff the day just starts. Indiegrove is a real community of entrepreneurs starting with the Founder Zahra Amanpour who had the vision of helping small businesses in the community succeed. They provide workshops, classes, education, network and support to help your business, whether it is a startup or an established one. Our business has grown immensely since we have started working at Indiegrove. Thank you Indiegrove for all the support. We couldn't have arrived where we are without you. "Without Indiegrove my business would not be where it is today"
Indiegrove is not only an incredibly spacious and asthetically beautiful place to work in but it is the high quality businesses and entrepreneurs it attracts. At Indiegrove, we have made extremely fruitful connections to accelerate our success. Additionally, because of the kinds and size of membership at Indiegrove, we have generated 30% of our revenue just through word of mouth through the Indiegrove community. As a growing business, Indiegrove is growing with us. We began as meeting room members, then took 1 private office and now we have an office suite of 7 private offices at Indiegrove. We are very grateful to Indiegrove and its founder Zahra Amanpour for all the support to get us where we are today! They say you are only as good as your reputation; and before my interview at Indiegrove 10 months ago, I already knew of the owner Zahra. Zahra is well respected entrepreneur and innovator in Jersey city, anyone who is involved in the community knows of her. By this alone, I was already motivated to work and learn from her. Nevertheless, after accepting my position I was welcomed by the amazing community and this is what makes Indiegrove so special. 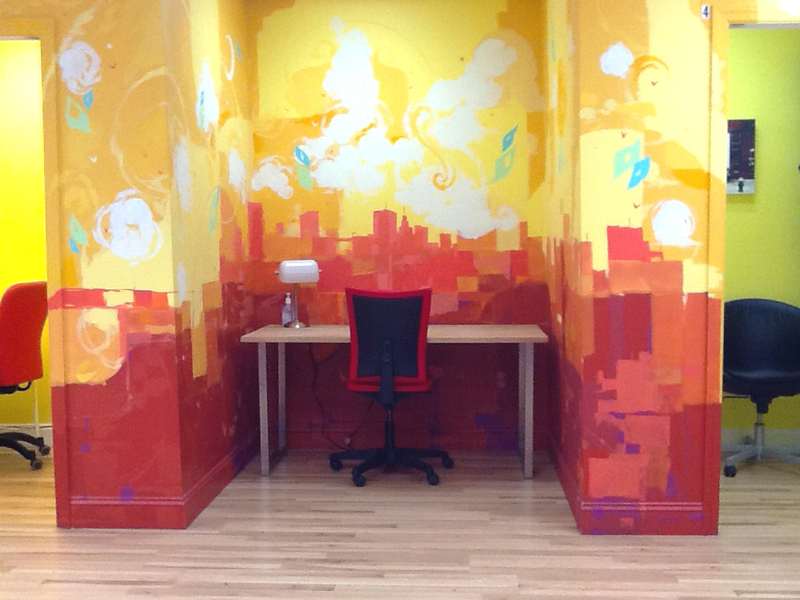 Its a great workspace to be motivated and engage with the community! Everything we do here at Indiegrove from our workshops to our membership packages are all carefully thought out with the entrepreneur in mind. We truly believe in our community and want to support their businesses/lifestyle.
" Great atmosphere, terrific location"
Indiegrove provides a vibrant, welcoming space to think, work, and commune with others of like mind. The work spaces are comfortable, clean and well equipped. Staff very professional and friendly. There is room to work in solitude, or to connect with others. I enjoy interacting with the community of entrepreneurs striving to turn their visions into realities. Lots of energy. There are always workshops or events to check out. The commute is as good as it gets --only steps away from Grove Street stop, and 24/7 access allows me to work when I want. Indiegrove is the space I needed. "The peace and productivity I never had working from home!" Starting my own business was one of the best decision I ever made. 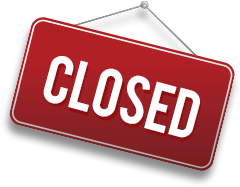 As a single mother of two, I finally had the freedom and flexibility I so desparately needed. My only issue was that my personal and professional life seemed to mesh together a little more than I cared for. Working from home proved difficult and I was not as productive with all the distractions. Indiegrove provides me with the perfect balance! I have somewhere to be every morning, I am much more able to stay focused, and the amenities are great! I have also benefited greatly from the open environment and the advice and conversations with other entrepreneurs. The opportunity to bounce ideas off of others who have already worked through some of the challenges I face as a business owner is priceless. Indiegrove is not just a quiet place with coffee, more importantly, it is an entire hub of professionals with hundreds of years in combined experience available at an arms reach! Sprout/Sprove grocery by the PATH has a delicious salad bar, and Skinner's Loft has great burgers. Book the meeting rooms in advance as much as you can! If you want a bit of sun the lunchroom is bright and sunny. I love grabbing a coffee there and just reading through emails. The lunch special at Roman Nose next door to Indiegrove is worth your time. $10 for a big plate of pasta or soup and salad, all homemade! Use the kitchen! Big space with lots of light. Be sure to attend the mixers. Check out the great restaurants on Newark Ave. Great places to take clients or grab a bite. Also, take advantage of the lunch and learns. I have gotten so much value with these events. Every Wednesdays we have community Lunch in the kitchen! Gypsy Grill just up the street. Best shwarma anywhere. Indiegrove will be in touch with you soon to confirm. Indiegrove has received your membership enquiry and will be in touch with you soon.